Apple makes it easy to synchronize bookmarks between the Safari browser on a Mac and the Safari browser on iOS, but you don’t have to use Safari — or a Mac — to sync your bookmarks back and forth. You can do this with any browser. Whether you’re using Chrome, Firefox, or even Internet Explorer, there’s a way to sync your browser bookmarks so you can access your same bookmarks on your iPad. Apple’s iCloud service is the officially supported way to sync data with your iPad or iPhone. 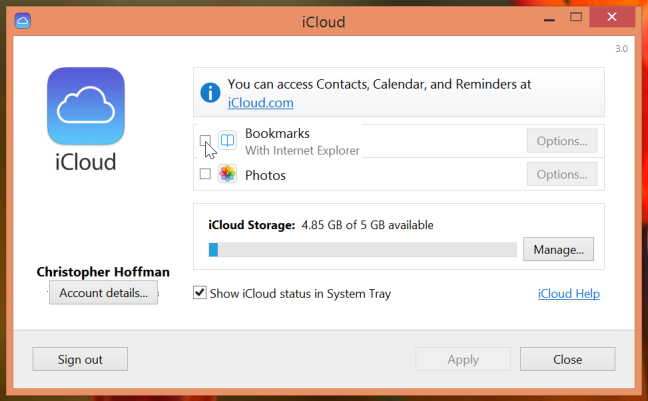 It’s included on Macs, but Apple also offers similar iCloud bookmark syncing features for Windows. On a Mac, this should be enabled by default. To check whether it’s enabled, you can launch the System Preferences panel on your Mac, open the iCloud preferences panel, and ensure the Safari option is checked. If you’re using Safari on Windows — well, you shouldn’t be. Apple is no longer updating Safari for Windows. iCloud allows you to synchronize bookmarks between other browsers on your Windows system and Safari on your iOS device, so Safari isn’t necessary. To get started, download Apple’s iCloud Control Panel application for Windows and install it. Launch the iCloud Control Panel and log in with the same iCloud account (Apple ID) you use on your iPad or iPhone. You’ll be able to access your synced bookmarks in the Safari browser on your iPad or iPhone, and they’ll sync back and forth automatically over the Internet. Google Chrome also has its own built-in sync feature and Google provides an official Chrome app for iPad and iPhone. If you’re a Chrome user, you can set up Chrome Sync on your desktop version of Chrome — you should already have this enabled if you have logged into your Chrome browser. 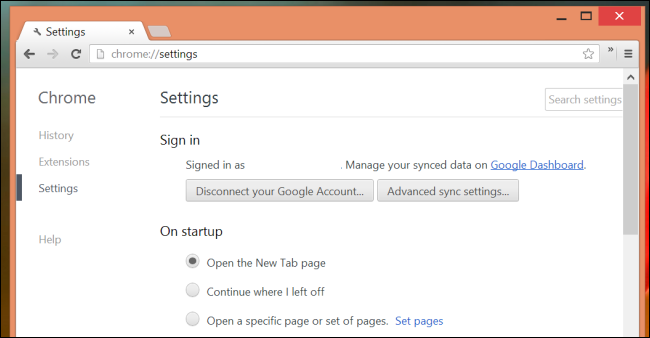 You can check if this Chrome Sync is enabled by opening Chrome’s settings screen and seeing whether you’re signed in. Click the Advanced sync settings button and ensure bookmark syncing is enabled. Once you have Chrome Sync set up, you can install the Chrome app from the App Store and sign in with the same Google account. Your bookmarks, as well as other data like your open browser tabs, will automatically sync. This can be a better solution because the Chrome browser is available for so many platforms and you gain the ability to synchronize other browser data, such as your open browser tabs, between your devices. Unfortunately, the Chrome browser is slower than Apple’s own Safari browser on iPad and iPhone because of the way Apple limits third-party browsers, so using it involves a trade-off. iTunes also allows you to sync bookmarks between your computer and your iPad or iPhone. It does this the old-fashioned way, by initiating a manual sync when your device is plugged in via USB. To access this option, connect your device to your computer, select the device in iTunes, and click the Info tab. This is the more outdated way of synchronizing your bookmarks. This feature may be useful if you want to create a one-time copy of your bookmarks from your PC, but it’s nowhere near ideal for regular syncing. You don’t have to use this feature, just as you really don’t have to use iTunes anymore. In fact, this option is unavailable if you’ve set up iCloud syncing in iTunes. After you set up bookmark syncing via iCloud or Chrome Sync, bookmarks will sync immediately after you save, remove, or edit them.